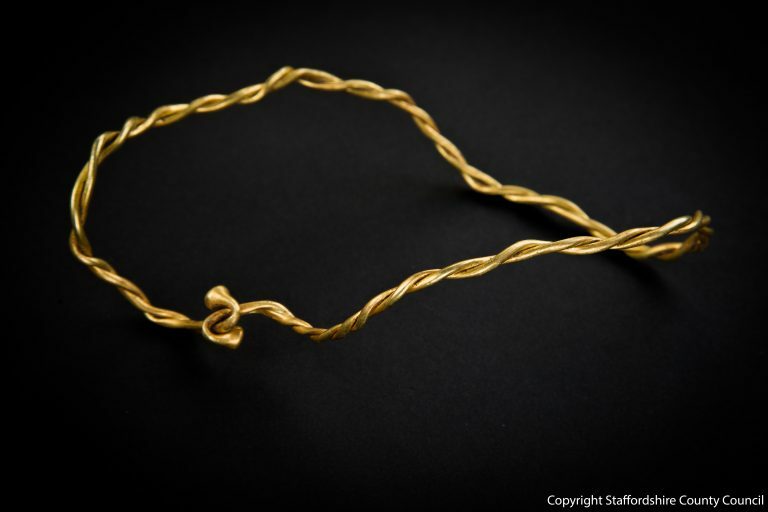 An archaeological find on Staffordshire farmland was discovered by two metal detectorists just before Christmas. 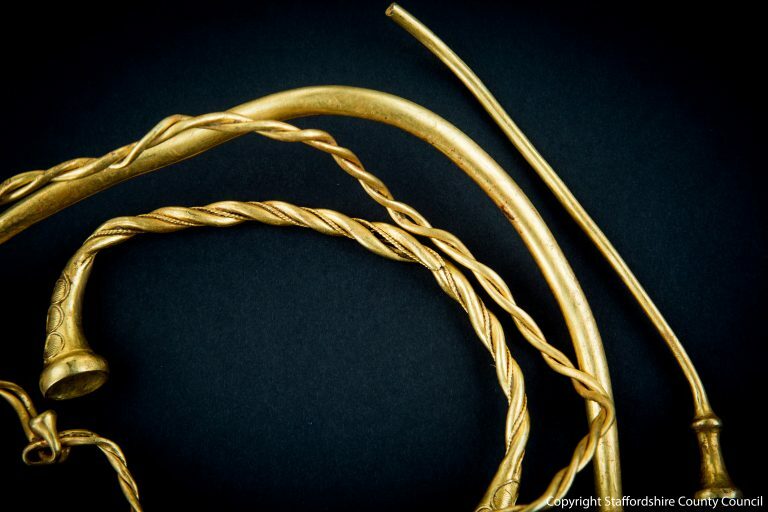 The collection, which has been named the Leekfrith Iron Age Torcs, are believed to include the earliest examples of Iron Age gold ever discovered in Britain. 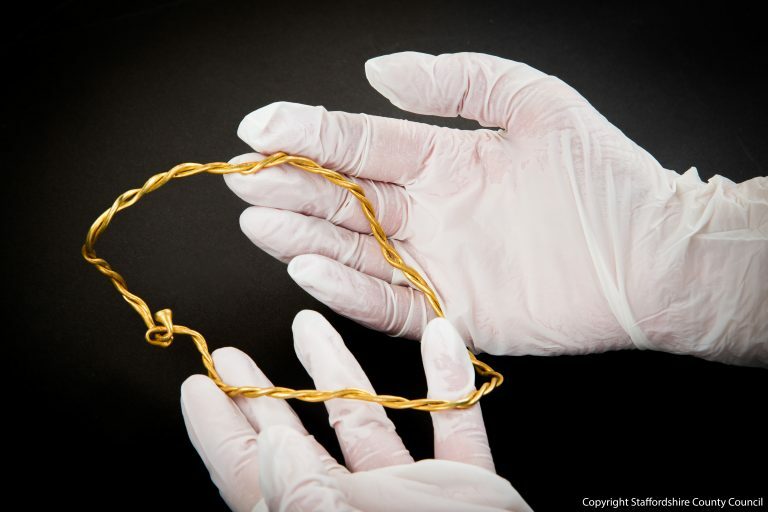 The find consists of three neck torcs and a smaller bracelet, which were located in proximity to each other. One of the torcs is a smaller bracelet decorated with ornament in the style of Celtic art, and the other three are neck rings. The bracelet and one of the neck rings are made with twisted gold wire, and the other neck rings have finials shaped like trumpets.